Mad Creations Fully Loaded Cauliflower Bake recipe is basically me wanting to make a potato bake. 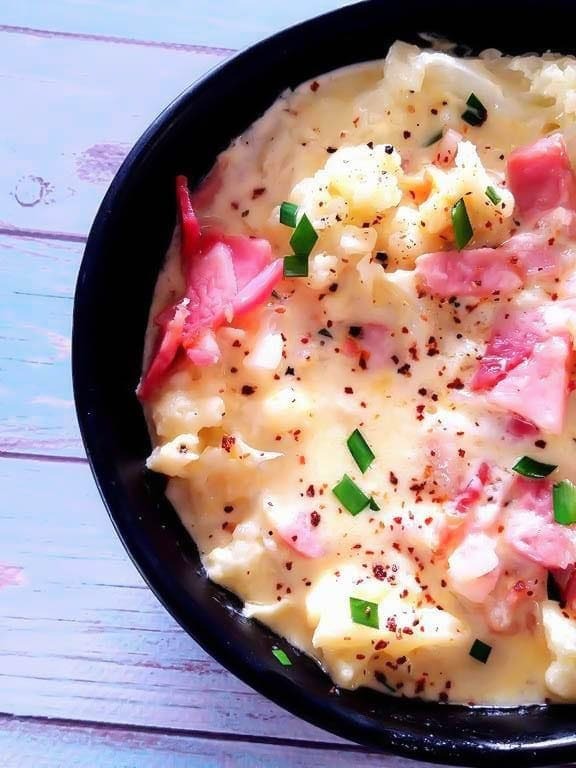 Growing up potato bake was always the naughty dish that might be there at a special barbecue or on the table at Christmas. Fighting with my older brothers for a spoonful was always a mission. You needed to be quick or you missed out. Today I am obviously not eating potatoes, so you need a good substitute, and I think cauliflower does okay. Eating it like this takes out that cauliflower “smell” and it almost feels like eating potatoes, but not so carb laden. Even for those of us who are not the biggest cauliflower fans this recipe is a goodie. Personally I can eat it and not feel taste the cauliflower. lol. If you are after some other great cauliflower recipes, like Cauli Toast, Cauli Tots, Cauli Burgers, or even the amazing Chicken Za’atar, pick up a copy Real Food Real Fast or Flavour, both books have some ripper recipes. You could easily substitute pumpkin or broccoli in this recipe. This recipe is suitable to freezer cooked or uncooked. OMG absolutely delicious. 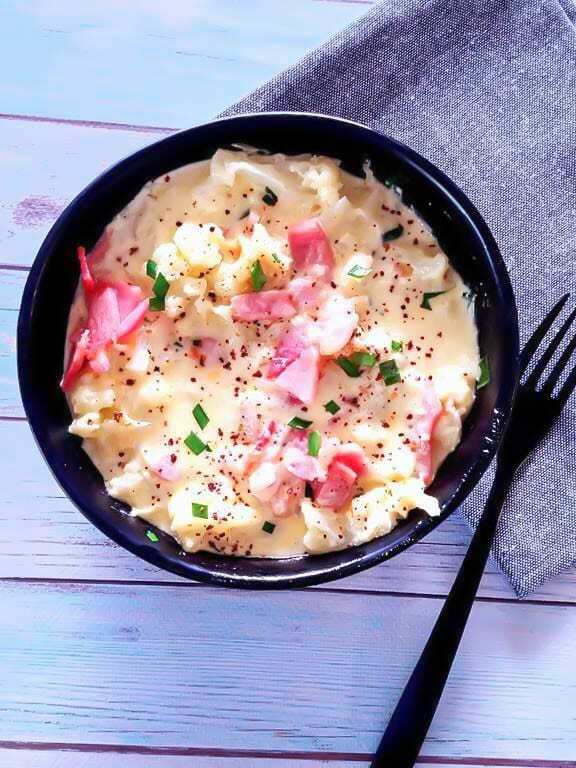 Not a fan of traditional cauliflower cheese but this is to die for. oh my gosh…sooo goood! I will never have plain cauliflower cheese again!